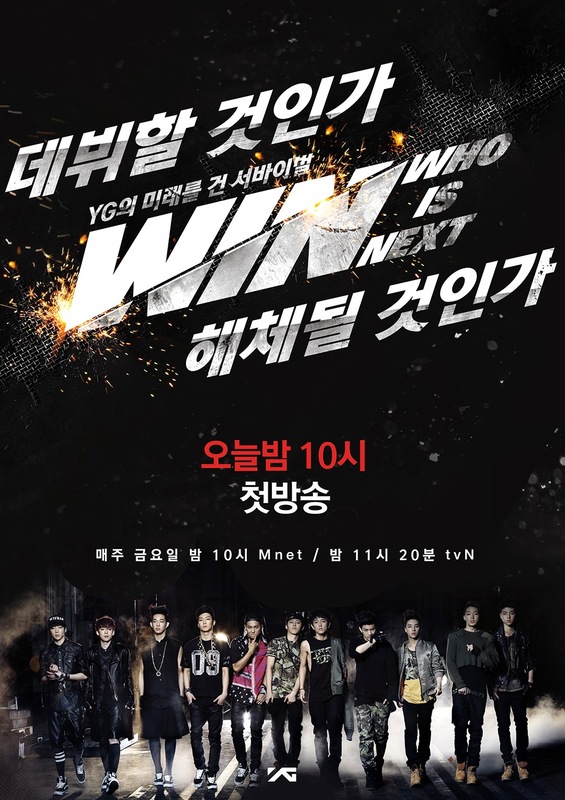 [Entertainment] YG Entertainment: WIN Who is The Next! Trainees who dream of becoming a star spend day and night singing and dancing—their biggest goal is to make a ‘debut’. However, even after a successful debut, in the South Korean music market where tens of new groups are born every year, winning the hearts of the public as a true artist is practically impossible. No one can predict who will be successful, and there is no set formula for it either. Even YG Entertainment, the entertainment agency which produced BIGBANG and 2NE1, groups which each respectively brought about a paradigm shift in the music world in 2006 with its borderless popularity and changed the entire perception of girl groups, has not debuted a new group for the last 4 years. And the exact agency, YG, has returned finally in 2013 with the first boy group in 8 years since BIGBANG’s debut, named ‘WINNER’. But the members of the boy group has not been confirmed yet, as YG’s next boy group formation will be determined on a real survival battle program called ‘WHO IS NEXT : WIN’ where only the real surviving team can seize the name ‘WINNER’ to make a debut. This is a real test to see who can remain alive in the dog-eat-dog pop music market. The most important aspect of this program is that the fait of ‘WINNER’ is dependent on the viewers. Even the founder of YG, YANG HYUN SUK, will only be giving brief advice to the contestants. He boldly chose to let the viewers decide completely to see who the true ‘WINNER’ is. ‘WIN’, which allows the public to participate even before a new group is formed properly, will create a battlefield for the 11 members who have been training at YG for a long time. The boys will be divided into Teams A and B for a fierce fight. Team A, which consists of KANG SEUNG YOON, the recently debuted ex-contestant of Mnet’s Superstar K2 and LEE SEUNG HOON, the ex-contestant of K-Pop Star, have 5 members in total with the average age of 20. Team B has 6 members with the average age of 17, with the then boy rapper B.I. who featured in MC Mong’s ‘Indian Boy’ and Koo Jun Hoe, another ex-contestant of K-Pop Star. The final winning team will seize the name ‘WINNER’ to make a debut immediately after the program finishes, while the losing team’s debut will be postponed indefinitely. ‘WIN’, a program that is to show the harsh and cold reality of the professional world, will depend completely on the viewers’ decision to choose the winning team. The battle program will keep everyone on their toes, as even YG will not find out the winner until the very end. ‘WIN’ is not an auditioning program with judges, but is a 100% real survival battle program where the viewers decide the final winner. From episodes 1 to 10, there will be 3 battles in total, and along with YG’s founder YANG HYUN SUK, other YG artists, producers and special guests will be participating in the process of the competition. Online and mobile advance voting will be available from episodes that the battle begins, and the final battle, which is aired live, will allow viewers to use live text message voting system. The final winner is determined based on the tally from online/mobile advance voting and live text message voting combined. Further details on the voting method and dates will be announced later. In South Korea, the program will be aired every Friday on a relay on two different channels, at 10 p.m. on Mnet and 11:20 p.m. on tvN. The first episode will be aired at 10 p.m. on August 23 (Friday). The program consists of 10 episodes. The show will be broadcasted simultaneously on portal sites like Daum’s mobile webpage, also showing happenings of behind-the-scenes. The program will be aired overseas beginning from September 17, through channel V (part of the cable channels of START TV) and channel M (part of the cable channels of FOX) in 10 countries including Hong Kong, Singapore, Taiwan, Thailand, Vietnam, the Philippines, Malaysia, Indonesia, Cambodia, Myanmar, the Maldives, and Macau. In China, the largest video-sharing website Youku will exclusively air the program. YG is negotiation with Arirang TV to air the show beyond Asia in 188 countries from mid September. Arirang TV will provide subtitle services including English, Spanish, Chinese, and Indonesian. The entertainment agency is also in the midst of negotiation with various national television in the Asian region and their cable channels. As seen from the effort, YG is preparing in earnest to show ‘WIN’ to a wider audience around the world.